Do you have rodents in your home or office in Gastonia? Go-Forth Pest Control of Charlotte can help with your pest problems today. Rodents can carry diseases into your home along with other pests that can disrupt your daily routine. They get into your food and contaminate it. At Go-Forth, our technicians have been trained to spot the home of rodents in your house. They know where they like to hide and will place traps to try and eliminate them from your property. It is best to get a pest professional to help so call Go-Forth today or click for a free quote on your rodent problem now. 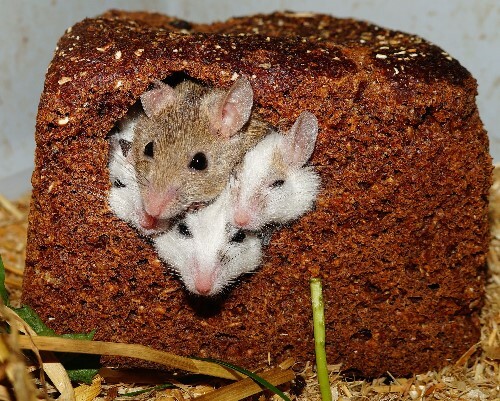 Rodents like to get into everything and can chew through different materials with their razor sharp teeth. They have even been known to chew through dry wall to create their own nest for their family in your home. If you suspect you have rodents you will notice droppings around your home or office and small holes near food or warm places to live. Rodents can carry different diseases to you and your family. They can even be carriers for other pests like fleas and bed bugs. They reproduce quickly so it is important to get them out of your home as soon as possible with the help of a professional. First and foremost, an extremely necessary thing to do when deciding whether or not that hiring a professional rodent exterminator is something you need to do, research the available options that you have to choose from on the internet. Search for rodent exterminator services in your area, and read about the services that they offer and their chosen methods of eradication. Ensure to read each and all of your chosen service providers’ reviews written by those who have used the services of these people. Reviews are an excellent way to gain insight on how that particular customer was treated by the company, what their outcome was, and more. It is important to read more than just one so that you aren’t relying on one person’s sole opinion, because everyone’s perspectives are different and it could be a biased opinion, so make sure to do this! Find out how they seem to treat people, if their prices are reasonable and their services appear to be successful, and if they will satisfy your requirements, and then go from there! You should create a shortlist of at least three of the different service companies you’ve selected and are considering. You can then prepare a questionnaire with some of the important questions that you may have for them, and ask them before you begin service with them. You should find out what methods they will be using for the extermination process, along with how many visits they require for complete eradication, how they plan to dispose of the rodents they catch or kill, etc. One main thing that is also imperative is to find out what guarantee they offer on their service with regard to the return of the rodents. They should tell you whether they will do anything or not to prevent the return of rodents in your house. You should also be able to get a free estimate from them. These things and more can be great indicators of whether or not you can rely on their services! Upon creating the list of your questions to ask, contact all of the exterminators and obtain the answers to your questions. Immediately eliminate the ones who are not willing to spend time answering your questions. Choose the one who seems like a good fit for you. Get an estimate from them. You can bargain for a good price. Be sure to get a detailed explanation of their process. After the extermination is complete, be sure to speak with the exterminators about what you yourself can do to prevent the rodents from making their way back. It’s important to remember that rodents won’t go away permanently if you aren’t taking precautionary measure to prevent them. They are greatly attracted to human habitats and our food, and they can easily try to force their way back in. Simply gather some tips from the professionals on how to prevent them from coming back, as they are the ones who are going to be the greatest aid in rodent control! Our customers value our work and have given us some great reviews. Check them out and see if Go-Forth can help with your rodent extermination in Gastonia today.